"I have been working in shopping centres for the past 13 years and this was the best fire training I have ever received. It was extremely practical and wonderful to have a common sense approach to dealing with evacuations and fire procedures." Australian Fire Protection offer a range of Fire Safety and Compliance Solutions to help keep you and your employees trained and equipped in the case of an emergency situation. 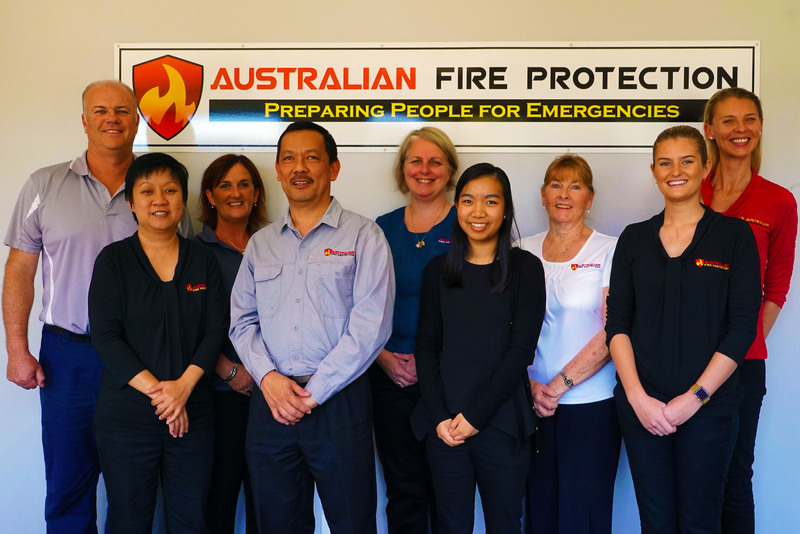 With over 30 years in the industry Australian Fire Protection have a team who are passionate about helping their clients and providing them with relevant and useful information when it comes to their selected training courses. Based in West Burleigh, this Gold Coast business has an interstate reach when it comes to the services they provide. With everything from providing a Fire Safety Adviser for your company to Evacuation Diagram drawing, Australian Fire Protection are eager to help you keep your business compliant. First Response Instructions and Fire Extinguisher Training. Fire Maps and Evacuation Routes for Your Building. Fire Safety Audits to ensure compliant with respected standards. Three day course available. *Limited spaces. One day course to renew Fire Safety Adviser license. *Limited spaces. A three hour, nationally recognised course in Confine Small Workplace Emergencies. Operate as part of an emergency control organisation. Lead an Emergency Control Organisation. Online Training available for selected courses. In house training available on the Gold Coast and Brisbane. Please contact us to hear our full list of accredited fire training courses.